All filler and not much killer. The Mousetrap is the world’s longest running show, having opened in 1952. Whilst this recorded is undeniably impressive, in my opinion the show’s longevity is now due to its unofficial museum piece status. Travelling to the St Martins Theatre to see this show is somewhat like travelling back to the Fifties; not a huge deal has changed in this little pocket of London, the auditorium is laden with vintage wood paneling and the show itself is very much a period piece. Actors Claire Cartwright and Phillip Langhorne played young couple Mollie and Giles who have decided to open up a Bed and Breakfast, unaware of the bad luck and attention their advertisement will bring to their property on its opening day. Both Cartwright and Longmore were quite the delight to watch and played the roles with an enjoyable sense of naivety, coupled with a delightful 1950’s “BBC” vocal delivery. Similarly, the rest of the cast were quaint and watchable, although the archetypal style of the piece had me feeling more like I had been invited for tea and cake at a 50’s themed luncheon rather than sat watching a grisly murder piece. As theatre has moved on in the past 60 years in terms of both set design and scripting, The Mousetrap remains both painfully pleasant and stiflingly non dynamic. That is to say that all of the action takes place in one room amid a series of predictable entrances and exits. This meant that all gasps and da-da-dah moments were visible a mile off, although the final twist was still quite pleasing. Plot and staging aside, one of the key issues for me on the evening I saw the show was that the theatre was extremely empty yet we were not allowed to move closer to the stage. This made the space somewhat lacking in atmosphere and made pieces of the drama a little bit flat. 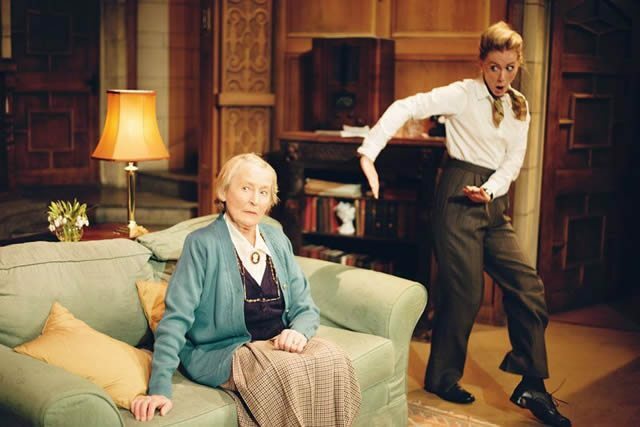 The Mousetrap is certainly very charming and a real window in theatrical history. If you haven’t seen this show yet, I would say it is a must. Personally, though, I found the piece just a touch tedious. 9 June 2015 - All filler and not much killer.